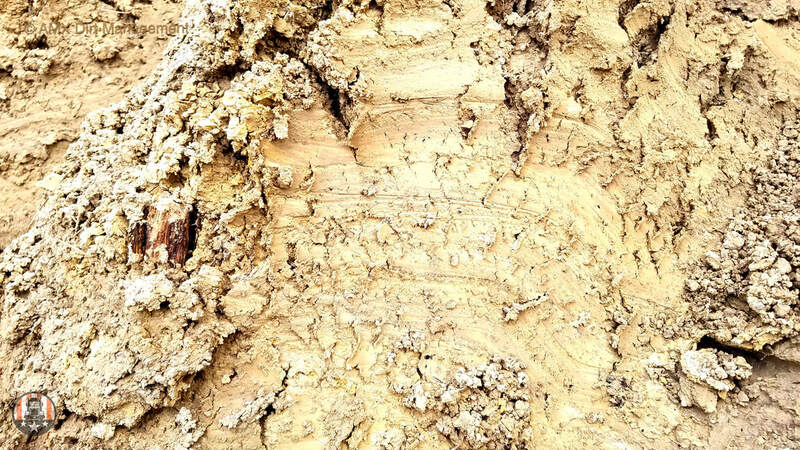 SELECT FILL: plasticity index (PI) between 10 – 20, Select Fill is usually a mix of clay and sand. Mostly used to fill underneath concrete foundations, building pads, or paving requiring to have a low to a medium (PI) or as required by a soil engineer. Sampling available from different locations in Houston. CLAY: plasticity index (Pi) over 20. Clays are plastic due to that water content becoming hard, brittle upon drying. 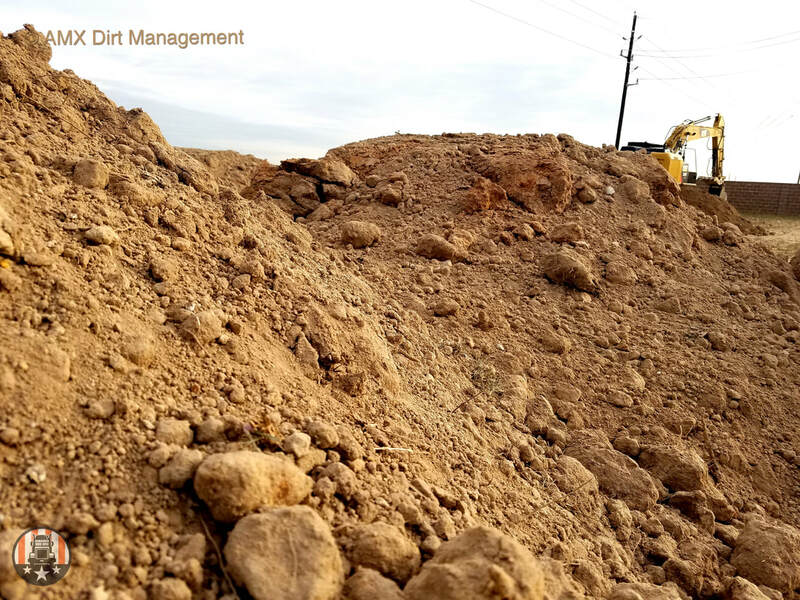 Typical applications for clay would be on projects where a highly cohesive soil is desired to limit penetration of water or to limit erosion in certain areas. 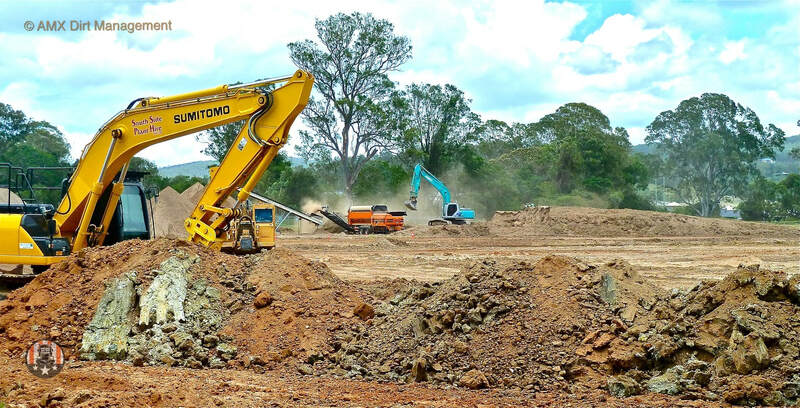 CONSTRUCTIONS SAND: Construction Sand can be used alone as "fill" in the construction of building foundations, this product is ordered as “bank sand” for bedding water lines or other drainage/utility structures or as “final grade” for smoothing rough graded areas prior to sod or concrete placement. 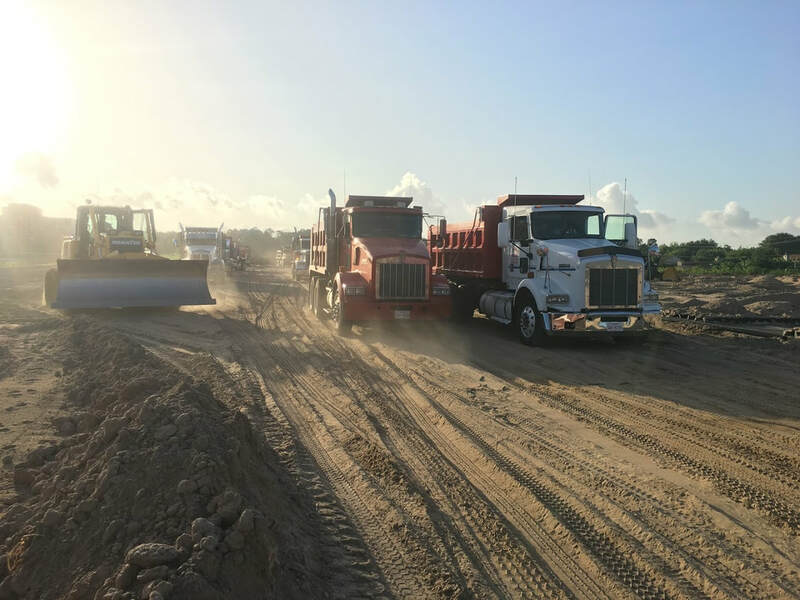 CRUSHED CONCRETE: Supreme Dump Trucks & Trailers sells recycled crushed concrete in the form of 3”x5” “Bullrock” and Crushed Concrete “Flex Base”. Flex Base typically contains recycled crushed concrete with a gradation of 1.5” down to fines. And 3”x5” Bullrock contains recycled crushed concrete with a gradation of 3”-5” with no fines. 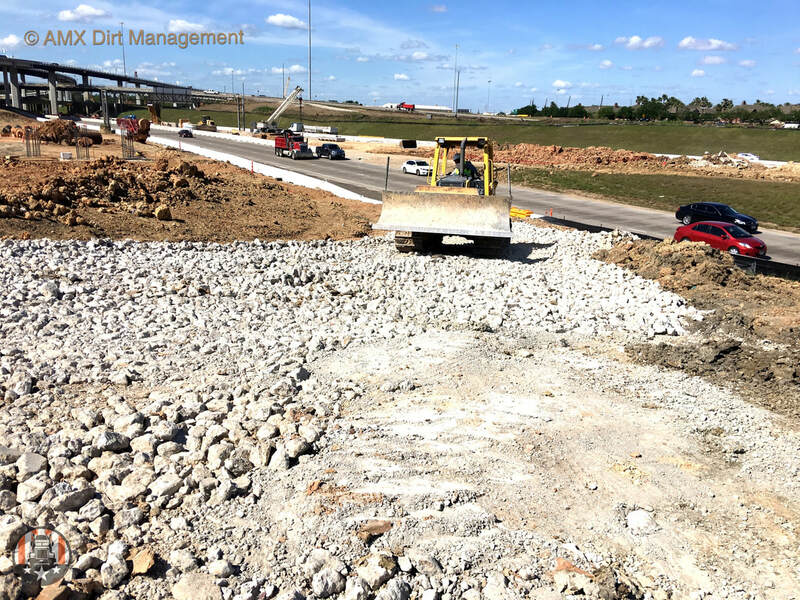 Typical applications include stabilized construction access, rock filter dams, staging areas, or sub-base for asphalt or concrete paving. 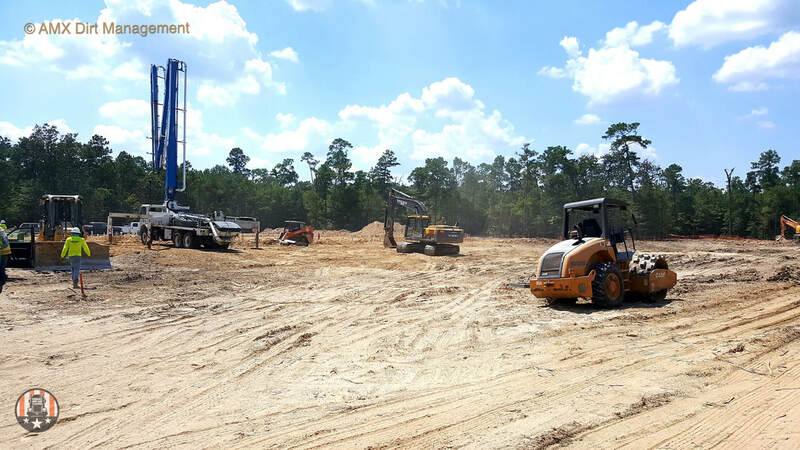 STABILIZED SAND: Stabilized Sand is a product created by means of mixing varying amounts of cement, water and sand in a pugmill. Typically, this product is used as bedding and back-fill for underground utilities, highway retaining walls as well as many other applications where certain compressive strength specifications are required. COMMON FILL: will mostly be delivered in a range of consistencies, color, and other properties can vary from location to location. 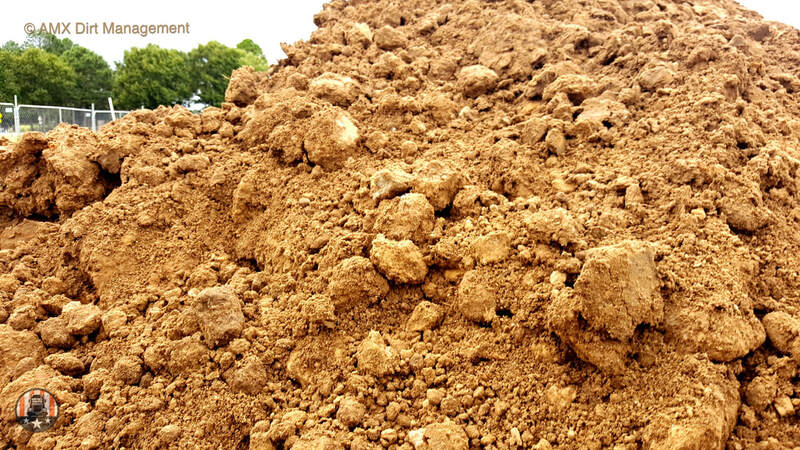 Common fill dirt is used as fill material and is the most cost effective product that can be used when no specifications are required on your project. Copyright © 2016-2018 | AMXCi | AMX Dirt & Trucking All Rights Reserved.